The condition of Rabbi Aharon Leib Shteinman, one of the most respected decisors of Jewish law in the haredi community, has stabilized, hospital officials reported Wednesday night, telling reporters that the senior rabbi was in no immediate danger. 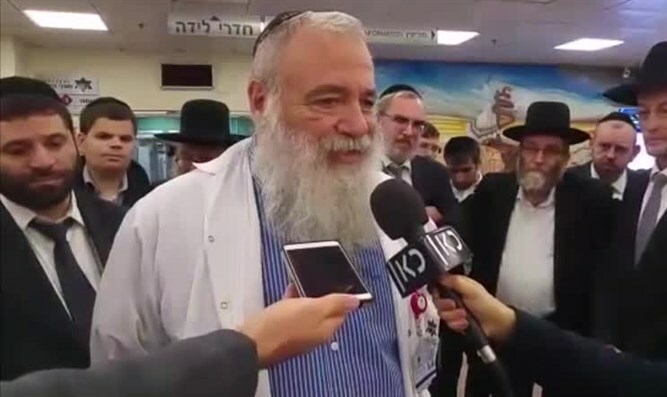 Hospital officials at Mayanei Hayeshua in Bnei Brak held a press briefing Wednesday night, revealing that Rabbi Shteinman’s condition had stabilized, following a serious deterioration earlier in the day. Professor Eliyahu Sorkin, chief of Mayanei Hayeshua’s intensive care unit, told reporters that the rabbi’s condition, while still serious, had stabilized. Earlier on Wednesday, Rabbi Shteinman’s condition had been listed as critical. Sorkin added that Rabbi Shteinman was suffering from a kidney infection, but is not in any immediate life-threatening danger. 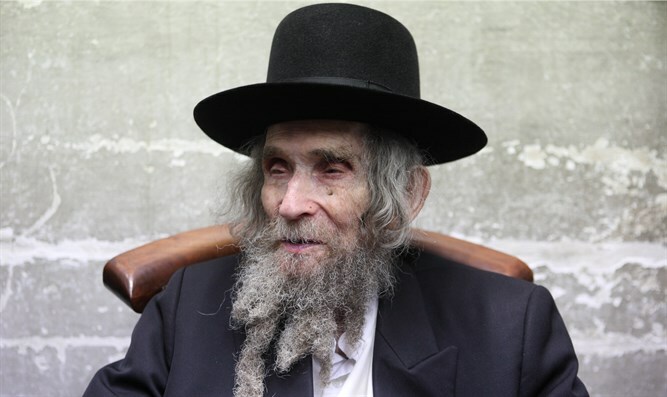 Rabbi Shteinman, 103, had been released from Mayanei Hayeshua on November 5 after being suffering from weakness and a fever. He returned to the hospital to undergo testing as an outpatient this week, and on Tuesday night was admitted as a patient. Rabbi Shteinman’s eldest daughter Rachel Devora Berlin, passed away suddenly Wednesday morning from cardiac arrest. She was 72. Berlin's funeral was held on Wednesday morning in Bnei Brak, and she will be buried in Bnei Brak's local cemetery.